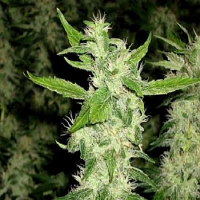 The Sativa Seedbank is a new cannabis seed bank founded in cooperation with Nirvana Seeds. The marijuana seed breeders from Nirvana Seeds developed new strains next to the already existing ones, exclusively sold by The Sativa Seedbank. The breeders gained a knowledge after 20 years of experimenting, crossing and stabilizing of cannabis seeds. Thats why the quality of the cannabis seeds is very high. The Sativa Seedbank is specialized in sativa strains, that means that we developed the seeds that will give a plant with the true sativa high. The sativa high is often characterised as uplifting and energetic . The effects of a sativa cannabis are mostly cerebral. They give a feeling of optimism and well-being, as well as providing a good measure of pain relief for certain symptoms. A few pure sativas are also very high in THC content. They are known to have a quite spacey, or hallucinogenic, effect.